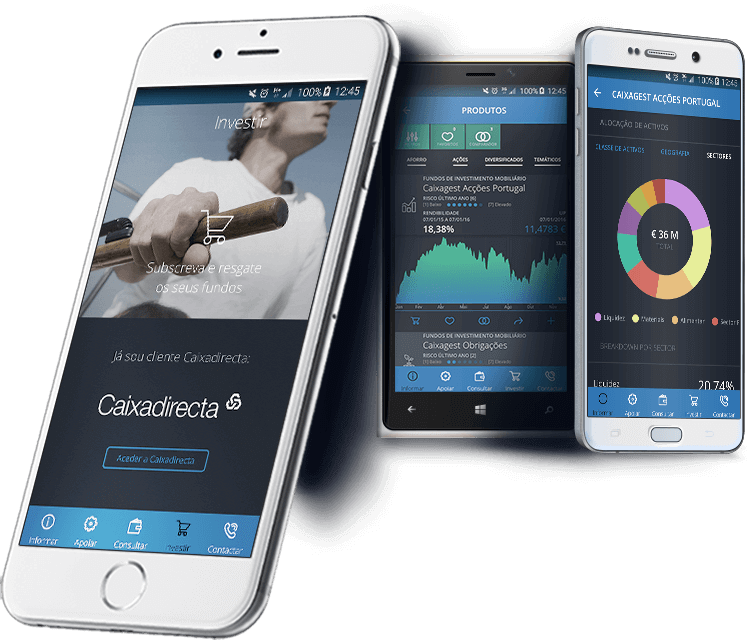 Since more and more clients use mobile devices for almost any everyday task, Caixagest decided to innovate and respond to its customers’ needs by developing an app that contained all the generic information about their products and services and ensured the best User Experience possible. This app had to work on the three mobile operating systems. With a vast experience in Cross-Platform development using Xamarin, Xpand IT was designated by Caixagest to guarantee this project’s success. Choosing Xpand IT as our strategic partner was the right choice for this project. With their profound knowledge in Enterprise Mobility, we developed an app that exceeded expectations because it improved the users’ experience across all devices and it gives them a solid information source. One of our top concerns while building this app, was to use native development to ensure the best performance possible, and that the final version delivered users a native experience for iOS, Android and Windows platforms. This led to choosing Xamarin technology as the ideal solution. With a single code base, app development was hastened and future support simplified.